Getting Started with Genos: Part 9 – Creating and saving ‘Voice only’ registrations to use with any accompaniment style. The Registration Builder: No.2 – Classical Organ (Classical organ registrations with bass played by left hand.) We create some Classical Organ registrations and explain how to play them for best results. 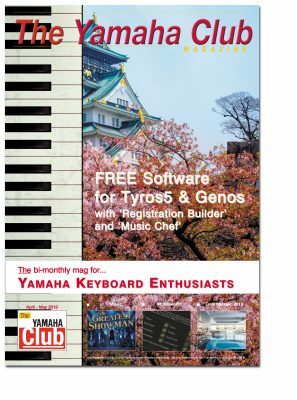 Subscribers to Yamaha Club Magazine can email for a FREE copy of the full registration bank for these sounds (see magazine page 10). Making a Simple MIDI Recording: In today’s workshop we make, save and edit a simple MIDI recording. So, choose your favourite piece of music and practise, practise, practise! The Music Chef: Chef’s recipe today is for some ‘Famous Names’ registrations. 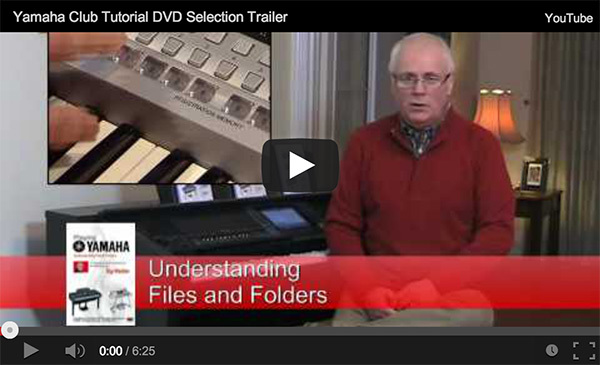 (‘George Shearing’, ‘Fats Waller’, ‘Bert Kaempfert’ – with free registration downloads for Tyros5 and Genos). CVP – Up Close & Personal: When Richard Bower met up with a friend for coffee he was inspired to take another look at audio recording. Music Books for Keyboard: The Greatest Showman ; Mamma Mia! Here We Go Again ; Bohemian Rhapsody ; Heather Hammond’s Just Jazz – Volume 1 / Volume 2. Penny Pieces: Part 3 of The Wedding March from Mendelssohn’s Midsummer Night’s Dream… arranged for keyboard by Penny Weedon. Download Penny Weedon’s own performance of the finale to ‘Wedding March from Midsummer Night’s Dream’ as published in her April/May 2019 workshop. Guide To Reading Music: In part 26 of her ‘Guide To Reading Music’ Gill Eccles re-visits the subject of adding appropriate chords to a melody. The Club Shop: Buy and sell on our classified ads page.